The Böllhoff Group has added Twin-Lock wedge-locking washers to its portfolio of screw-locking elements and now also has the exclusive distribution rights for Twin-Lock in many European countries. Twin-Lock is a high quality screw-locking solution and an alternative to other well-known wedge-locking products. The entire range is available from Böllhoff’s warehouses. Böllhoff application engineers provide expert advice on the most technically appropriate and economic solutions in meetings with clients, technical seminars and consumer fairs, to achieve a sufficient secure and reliable bolted connection. As an expert in screw fastening and secure joinings, Böllhoff, offers a wide and varied range of mechanical and chemical fasteners to provides the best support and advice for its clients regarding this increasingly complex topic. 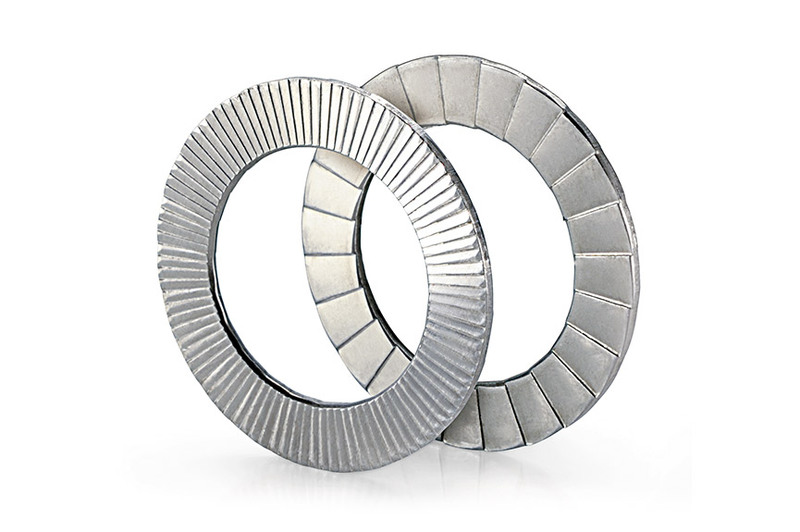 Twin-Lock wedge-locking washer for maximum anti-rotation locking, even with strong vibrations.